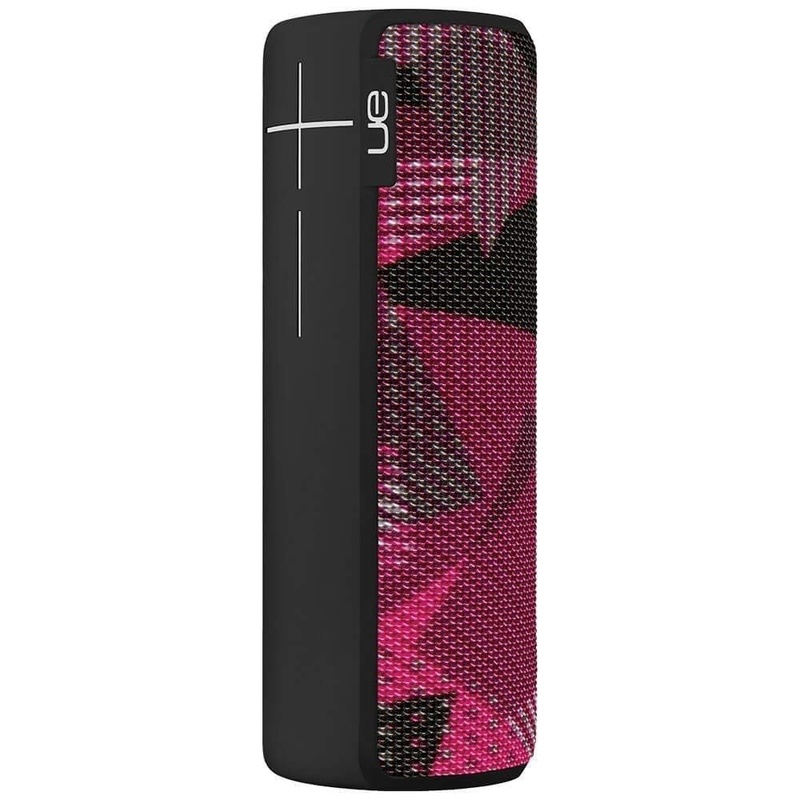 From UE Ultimate Ears, The MegaBoom Portable Bluetooth Speaker. Twilight Magenta Pink version. Universally compatible with most Bluetooth smart devices. - Ultimate Ears MEGABOOM is the massive 360-degree wireless Bluetooth speaker with intensely rich sound dominating every corner of the party. - MEGABOOM starts a party anywhere. Beach, pool, waterfall, wherever. If it gets too dirty, rinse it off and start again. - IPX7 rated: Ultimate Ears MEGABOOM can be immersed in water up to 1m for up to 30 minutes. - Ultimate Ears MEGABOOM works with Amazon Alexa (available only on Android), Siri and Google Now. - Rechargeable Lithium-Ion Battery for up to 20 hours of battery life between Micro USB charges.